For distinctive high arch problems. Extra high longitudinal arch support. Anatomically shaped gentle cow hide. Extra-thin to fit any shoe. Highly efficient active carbon filter prevents odour. 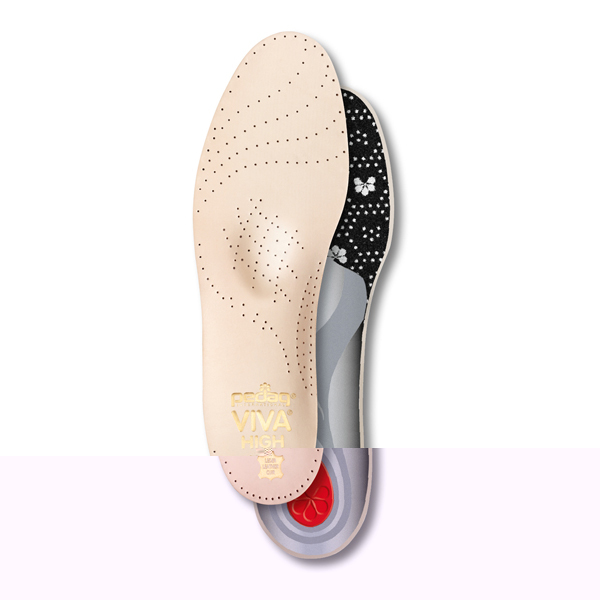 The Viva High offers substantial relief from high arch problems. The fine and breathable cowhide surface and active carbon filter provides an optimal climate inside the shoe.